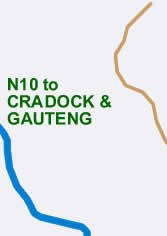 From Port Elizabeth, take the N10 to Cradock and at the second Bedford turn-off, you turn right. After 500m turn left onto the gravel road. The sign post is marked Tarkastad. 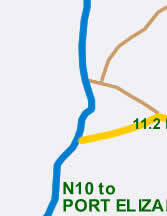 After 15 km you will get to a T-junction where you turn left and continue for another 33km until you see a stone church on your left hand side. 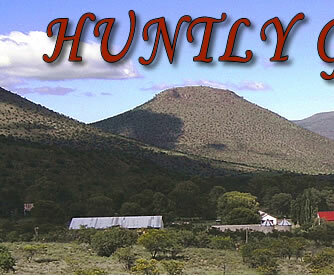 At the church you turn right and the farm and homestead is 2 km further up that road. From Gauteng, you go through Cradock and take the N10 to Port Elizabeth and 65km from Cradock you turn left to Bedford and after 500m you turn left again and continue as above. From East London, you would go through Bedford on the Port Elizabeth/Cradock road and 10km out of Bedford you would turn right onto the gravel road. The sign board says Tarkastad and travel for 42km until you see the stone church on the left hand side, where you now turn right and continue for another 2 km until you get to the farm house.